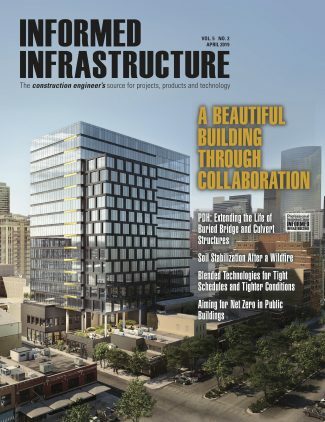 Building land on water isn’t an everyday job, and the $100 million project to extend the Chicago Riverwalk requires more than getting toes wet. Just ask Randy Howland, who heads a team of divers in the welding and carpentry trades. The divers are in the water almost every day, largely hidden from public view by a phalanx of river barges carrying equipment and materials to the current work site, between State and LaSalle streets. 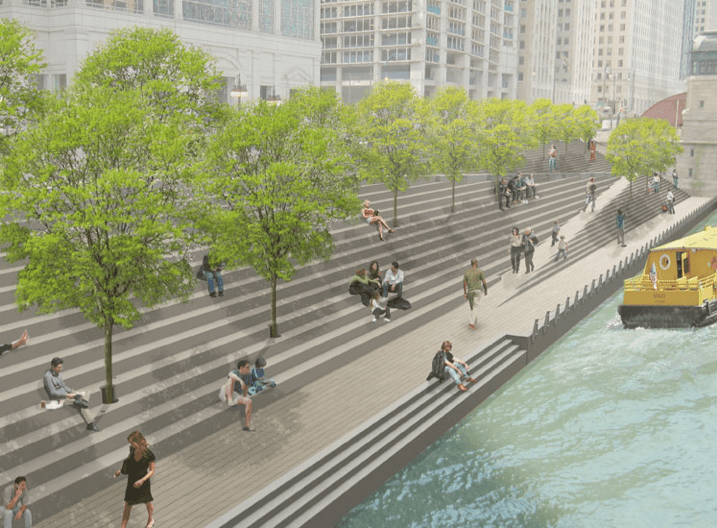 The linear riverwalk will extend 20 feet out from the old south bank into the roughly 200-foot-wide channel of the main branch of the Chicago River. The extension will jut out a total of 25 feet at the underbridges, pedestrian walkways that connect each section of the Riverwalk.